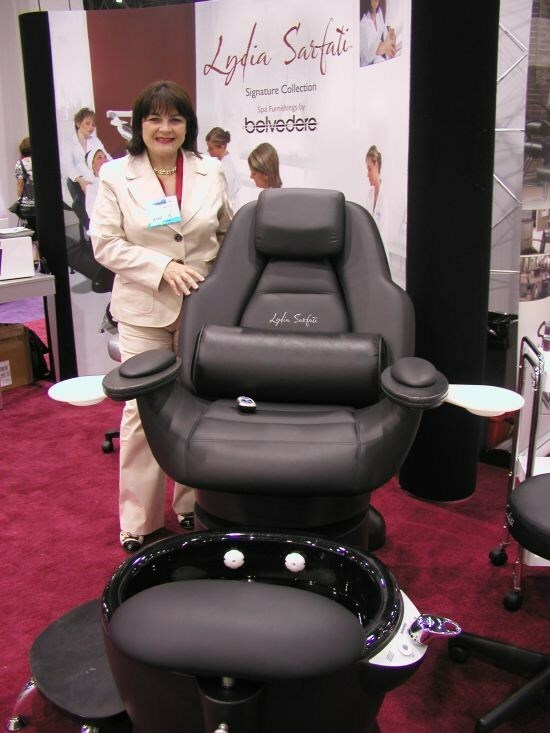 Here’s a quick photo round-up of my experience at IBS Las Vegas (formerly the Las Vegas Hair & Nails show). 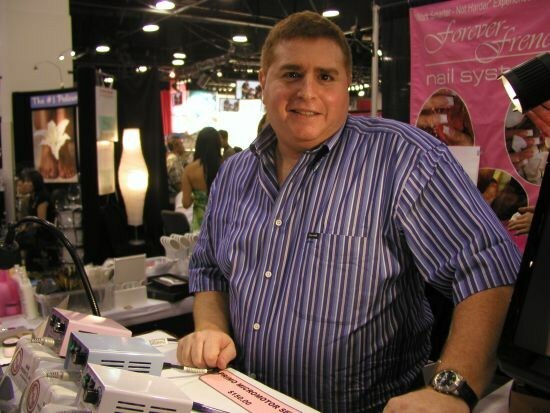 How was your experience at the show? Leave me a note in Feedback. Check the September issue of NAILS Magazine for more coverage of this show and of Premiere Orlando. 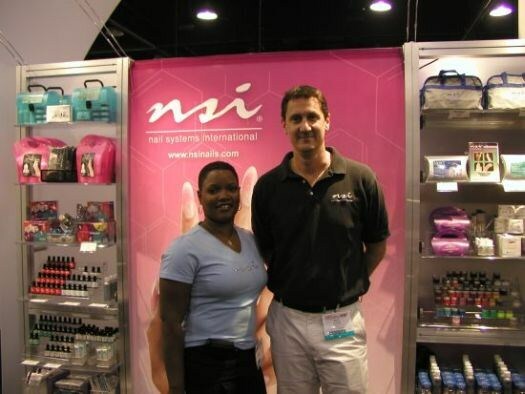 NSI’s North American account manager Staci Noble and company president Rick Slack pose by their booth. 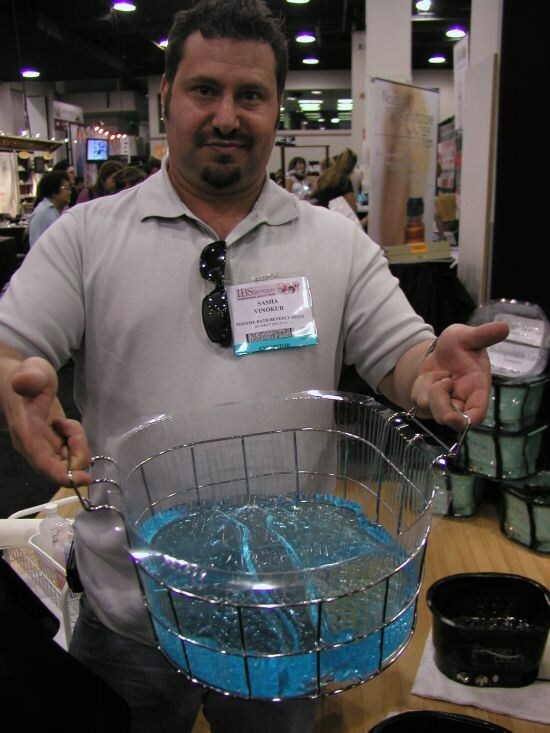 The company has some exciting products coming out in the near future, including new glitter gel colors and its first soak-off gel line, so stay tuned! 95° and Sunny imports these glass manicure files, then hires an artist to handpaint them all. 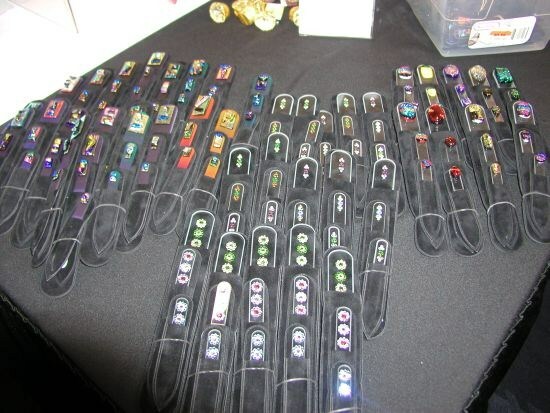 These Swarovski crystal files were for sale at the show. There’s my fingernail, freshly painted with a Migi Nail Art Polish Pen. A sales rep told me these pens are also great for creating designs on cell phones and eyeglasses. All smiles, Sarah Bryson (left) and Vickie Maher work the Poshé booth. 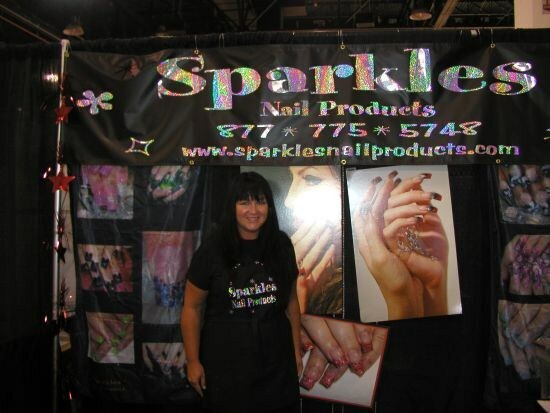 Sparkles Nail Products owner Shelly Hill was happy to talk to me about the company’s new glitter acrylics (the glitter is pre-mixed in for you). 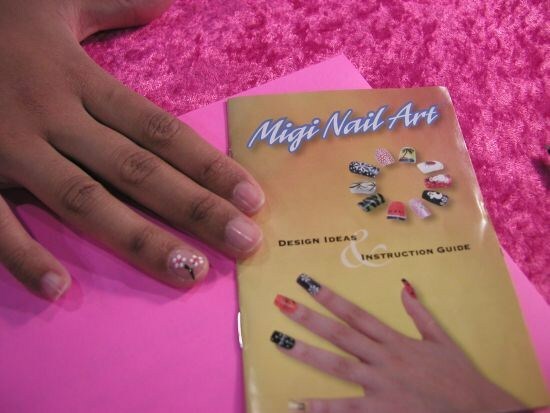 I was impressed with the concept of this new company, Nailtural. The company develops botanical nail care products. Here’s sales rep Natasha Pupuy (left) and founder Sandra Ossmann. EZ Flow educator MaeLing Parrish does a “Time to Shine” demo, which is the name of the company’s new glitter collection (the glitter ranges from tiny to chunky). 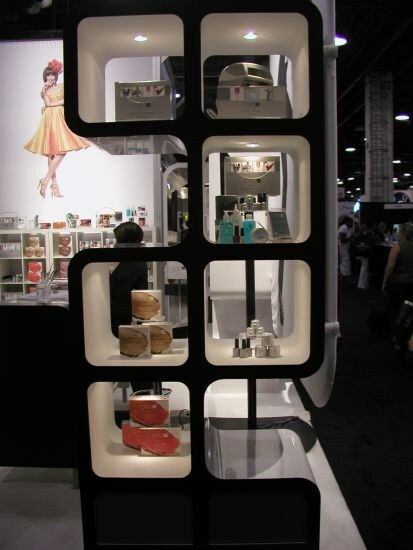 Ever innovating, CND debuted a new booth design at IBS Las Vegas. 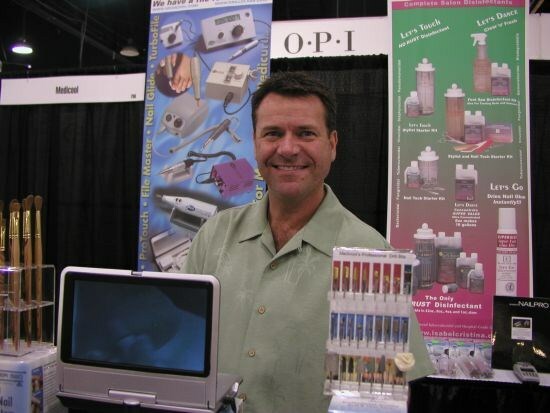 Medicool’s Steve Wallace smiles pretty for the camera. Young Nails president and co-founder Greg Salo (right) and educator G Elizondo were both excited about the company’s new ManiQ Natural Nail Care Gel, a soakable gel that’s great for clients who are trying to grow out their natural nails. Ram Products owner Richard Wiesen gave me a tour of the company’s electric files and bits. 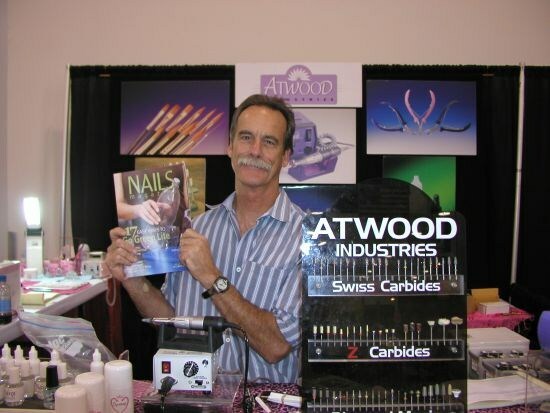 Atwood Industries’ Bruce Atwood never goes anywhere without his NAILS Magazine! Husband and wife duo Marnie Hadley (CEO) and John Hadley (president) work the CalGel booth. 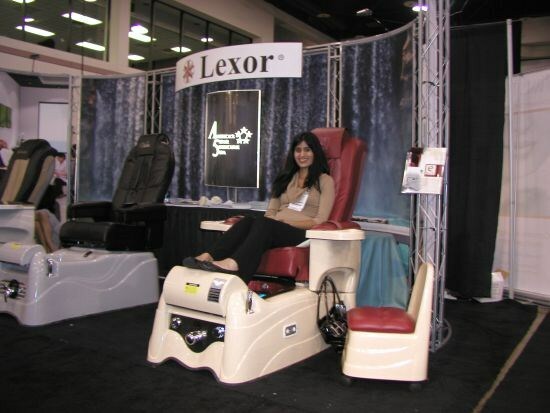 I try out the 18-function massage feature of Lexor’s new Elite Platinum Automatic. The new pedicure chair also boasts an automatic water shut-off feature, so you don’t have to ever worry about it overflowing. I stopped in my tracks when I saw these cute uniforms by Chi Couture Uniforms. 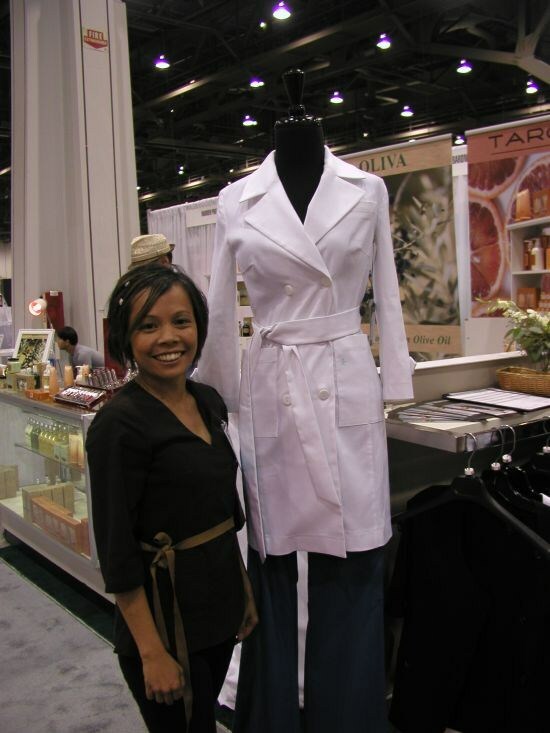 Here, owner Agnes Dalisky poses with one of her stylish creations.